Rock n Roll Marathon Series Global Tour Pass Giveaway! So you may have read last week that I’ve got a busy year ahead. And since running is currently a no go, I wasn’t able to use my Rock-n-Roll Marathon Series Global Tour Pass for 2016, an awesome perk that comes along with being a race series and brand ambassador. I was hoping to at least run #RnRDC in March, but my body stopped cooperating early in the first trimester. My other “must-run” RnR races for the year in September and October (Philly and Brooklyn) don’t seem incredibly feasible, as I will then have a newborn on my hands. So instead of fretting about the timing, I decided to share my pass with one lucky reader and postpone my race plans until 2017. Up for grabs is a 2016 Global Tour Pass worth $479. It gives you entry to any and all RnR races in 2016. This giveaway will begin Monday, May 23 and will last one week, ending at midnight on Monday, May 30 (Memorial Day.) There’s only one pass up for grabs and only one winner. I received this pass (a $479 value) through my role as a #RocknBlog ambassador. While I love this series, all opinions on my experiences are my own. Winner must be a US, Canadian or European resident. Current #RocknBloggers are no eligible to win the pass. Cheating to enter this giveaway will disqualify entrant. Required entries are a must to be considered for prize. And HEY! 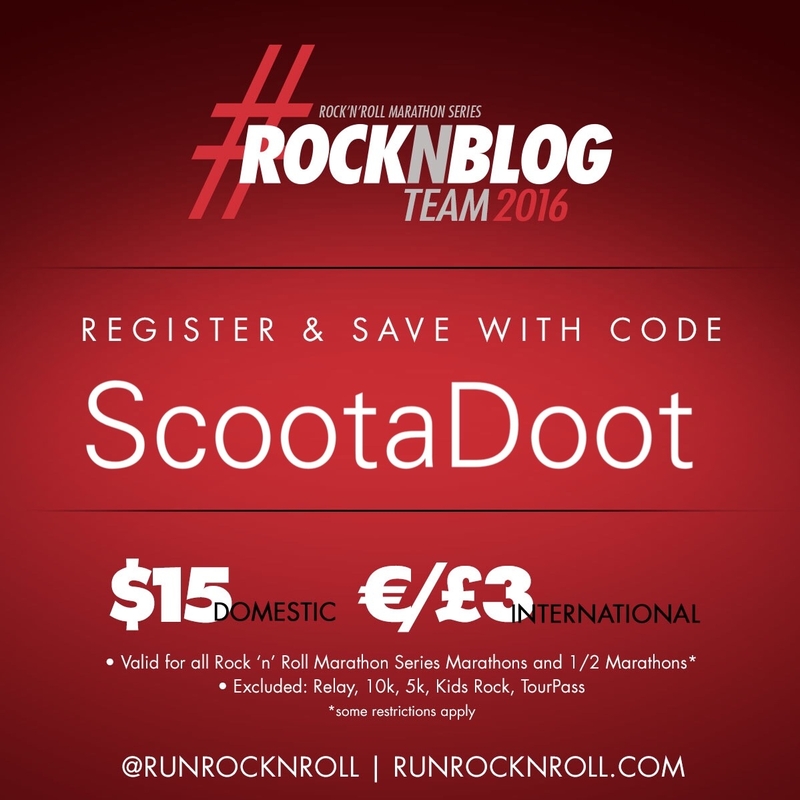 Since I know you all love a deal, use my discount code “ScootaDoot” to save some cash on an upcoming Rock n Roll Marathon race. Save $15 on entry of the marathon and half-marathon distance at 2016 RnR events. 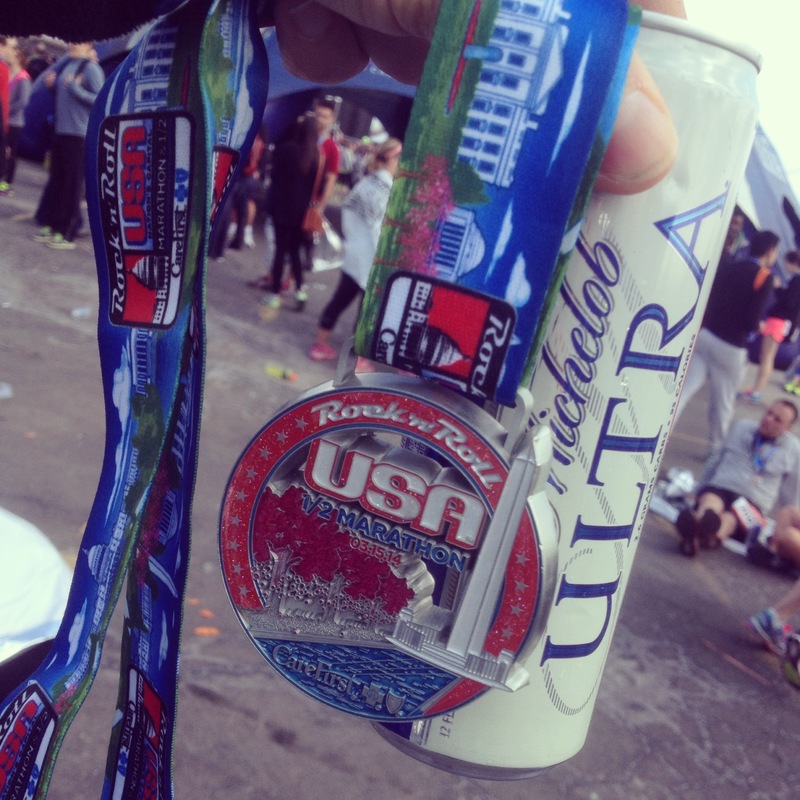 What’s on your Rock n Roll Marathon Series bucket list? What RnR races do you want to run in 2016? This is going to be one part ramble, one part product review. Just to set expectations. And those two things might not seem related, but I’ll explain. Any time The Biggest Loser comes up in conversation, there are usually a number of people saying “I love that show!” and an equal number of people saying “I hate that show! !” And, I get both sides, honestly. I am in the love camp. I have watched almost every season. I love Bob. I miss Jillian. I newly love Jen. I’m okay with Dolvett, and I tolerate the other trainers that have rotated through the show over the years. Ali Vincent will always be my favorite winner, and Abby Rike will always remind me that you can live through anything. 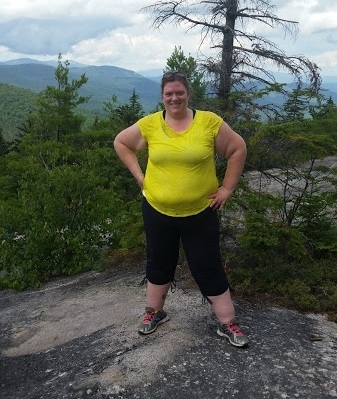 Biggest Loser isn’t perfect, but it gives me hope. It keeps me remembering that anything is possible. Me, at the top of a mountain. Anything is possible. Which brings me to Katie K. I love this company. No controversy here, I am so very proud to have been an ambassador for this amazing, growing, female-owned company for the past year. I love their line. I love that their sizes range from Small to 3X. I love that their products are well made, affordable and trendy. 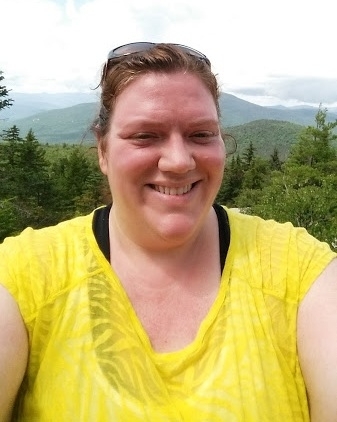 As a plus sized athlete, I also love that Katie K has things like thumbholes and patterned pants and burnout tees IN MY SIZE. 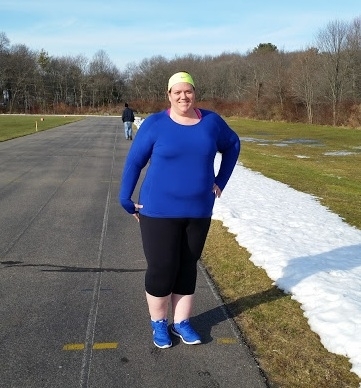 So, when I got the opportunity to review the Katie K Urban Capris, which just happen to be the capris the female contestants on the Biggest Loser are wearing this season, I jumped at the chance. You guys, these pants are like a dream come true for me. I’ve worn them to Zumba, and running, and they are VERY comfortable. But, where as most comfy pants aren’t the best for working out in, these are also incredibly functional. There was no riding up, or down. I didn’t have to stop and adjust the legs or the waist. From the Katie K website, the material is Mid-weight Semi Compression 88% Polyester/12% Spandex Peach Brushed Finish. The Peach Brushed Finish is the best part. These are SOFT. Along with the pants, I’m absolutely loving the Rush Hour Long Sleeve top. It comes in Cobalt, pictured above, and Rose, which is a bright pink. 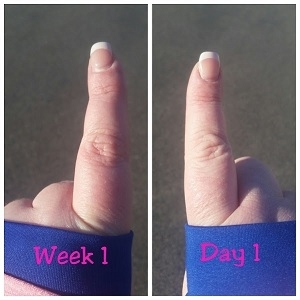 Complete with thumbholes, this is another really comfortable piece of workout wear. It’s Lightweight Compression 90% Polyester/10% Spandex Brushed Jersey, and again with the soft. And I’m a texture snob, so when I say they are soft and comfy, I mean it. In the interest of keeping things honest, these products were provided to me free of charge in exchange for my honest review. 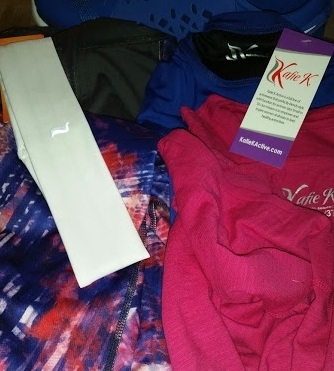 So, if you’re a plus sized athlete and you want to be comfy and fabulous while you work out, I highly recommend Katie K Activewear. Or if your not plus sized. See how that works? You can also use my code, BEC15, for 15% off and free shipping. And, I get no special credit for telling you this, except maybe your undying love and devotion, but right now, the code EXTRA50 will get you an additional 50% off of sale items (including the Urban Capris) and free shipping. I get no sales credit with that code, I just like you and I want you to get a good deal. I don’t know when that one ends, so if you’re into sales, hop to it! Being a Katie K Ambassador for the last year has been awesome. They were with me when I climbed a mountain (a smallish one, but still) last summer. They were with me when I restarted my journey to 13.1. And they will be with me when I finish it, whenever that is. So huge thanks to K for giving me this opportunity, and letting me show how I #definebrave. That’s one of my trainer’s favorite sayings and while I don’t go around saying it all the time, I can certainly relate. I have to be! When I put myself first and take care of my own needs, I’m a more pleasant person to be around. I’m more motivated, happier, and I know that I can accomplish what I set out to do. Which is why while I am my own biggest fan, I am ALSO the biggest Momentum Jewelry fan! Oh yes, I love me some Momentum Jewelry and have ever since I received my first Motivation Wrap several years ago. I think it’s safe to say that I’ve picked up quite a few more along the way. I wear these daily – during training runs, sessions with the aforementioned personal trainer, races; any day of the week that ends with -y! The Motivation Wraps depend in what situation I’m in and what message I need that particular day, while my Foot Note and Necklace are pretty much standard every day wear. Now while I love me some me, I also love me some YOU. One of the things that is so great about Momentum Jewelry is that while you’re inspiring yourself, you can also inspiring others. These pieces are conversation starters, as well as wonderful gifts to pass along to friends. Just ask my fellow blogger cohorts, they’ve all been privy to my obsession. Which leads me to the next big thing… their #sharetheSPARK campaign! For the next two months selected Momentum Jewelry Ambassadors will be sharing these brand spanking new designs with people who need a little extra spark. I am so looking forward to sharing these with people I think might need a boost and also following along with the hashtag on social media. It’s going to be incredible! Oh, I did mention a giveaway, didn’t I? I’m going to hang on to the #spreadtheSPARK wraps for now… however, I did a little Momentum shopping recently and picked up these Foot Notes. We are actually in our blogaversary month here at Scoot a Doot and for blogaversaries, you love on the people who love on you! One lucky winner will be able to rock these adorable Foot Notes. The giveaway will be running from today until Friday, 2/19 and I’ll be emailing the winner, as well as posting on our Instagram, Facebook, and Twitter. If I do not hear back within a 24 hour time frame, a new winner will be chosen. Good luck! I love me some you! 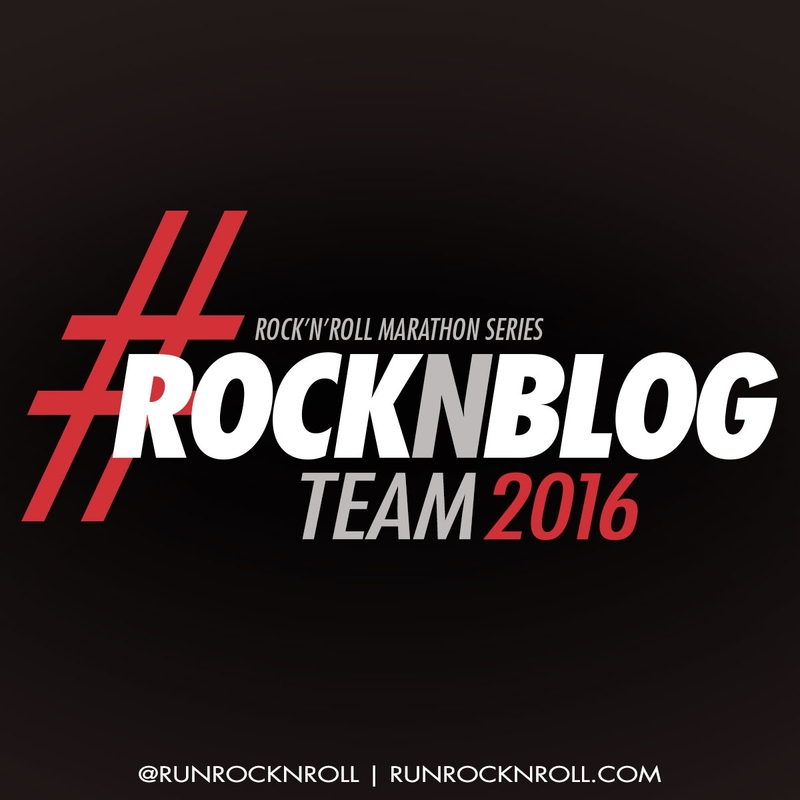 I am honored to again be selected as part of the Rock n’ Roll Marathon Series ambassador team as a Rock-n-Blogger. This will be my second straight year with the energetic team. Last year I had mighty plans, but some injuries and other life happenings sidelined me more than expected, so I wasn’t able to attend any of my scheduled races. Heck, most of my racing plans went out the window after I hurt my knee last March. So this year, I am going to slowly work my way back to half-marathon distance with a goal race or two in sight. Which races might that be? I’ve got my eye on a few, but time will tell which ones make the cut. Yeah, yeah, yeah. That’s great news Vic, but what does it mean for US? Well! I will soon have a discount code to share with you. I haven’t gotten it yet, but once I do, I’ll be sure to share here and spread the wealth. In the meantime, tell me what RnR races you’ve done and which ones are on your bucket list! Just days before Christmas is the perfect time for a PRO Compression giveaway! As you know, I’m a PC ambassador and love to run and recover in my PRO Compression marathon socks. Since I love this product which also happens to be American-made, I thought sharing a few pairs was the perfect way to say thank you to all of you, our wonderful readers and friends. Full disclosure: I bought these socks as part of a PC grab bag sale last week, so I had no control over the selected colors of socks. They are size S/M and the socks you see in the photos will be the socks you receive. This giveaway is 100% funded by me and me alone. There will be TWO winners, one for each pair of socks. This giveaway is limited to U.S. residents. It is not sponsored by PRO Compression, so no, we cannot trade these socks for another prize. Retail value for each prize is $50. 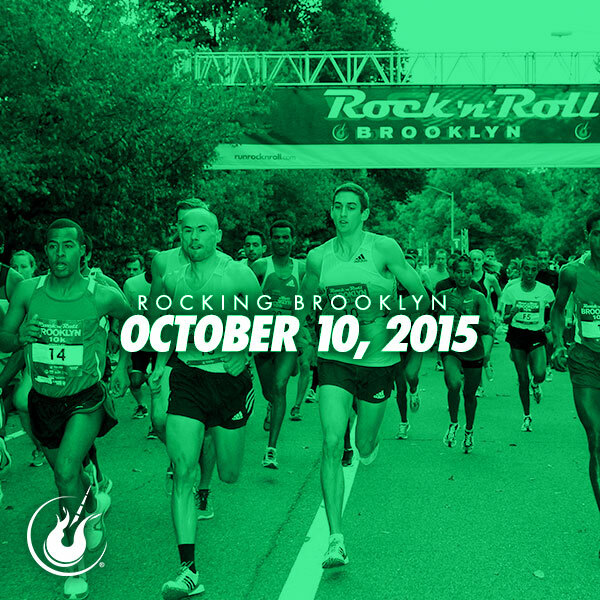 Registration opened today for the inaugural Rock ‘n’ Roll Brooklyn Half Marathon, to be held Saturday, Oct. 10 2015. Competitor Group, which operates the Rock ‘n’ Roll Marathon Series, last week announced the return of the road race. The 13.1-mile course replaces the former RnR Brooklyn 10K, held from 2011 to 2013. I’m excited for the big day as I love fall in NYC. The crisp air, the changing leaves and this just happens to be my birthday weekend! And yes, I will likely be there as part of the Rock ‘n’ Blog ambassador program. The race begins in Prospect Park and includes out-and-back jaunts along Eastern and Ocean parkways, before runners complete the final three miles in Prospect Park. Click here for the course map. Like other RnR races, this Brooklyn course will feature live bands along the route and a concert at the finish line. The concert headliner has not been announced. More than 17,000 people are expected to participate in the new half marathon, according to the Rock n’ Roll Marathon Series. In comparison, nearly 20,000 people competed in yesterday’s NYC Half Marathon. Have you run in NYC? Have you completed any Rock ‘n Roll race? Would a new course in Brooklyn interest you? Let’s run Rock ‘n’ Roll! 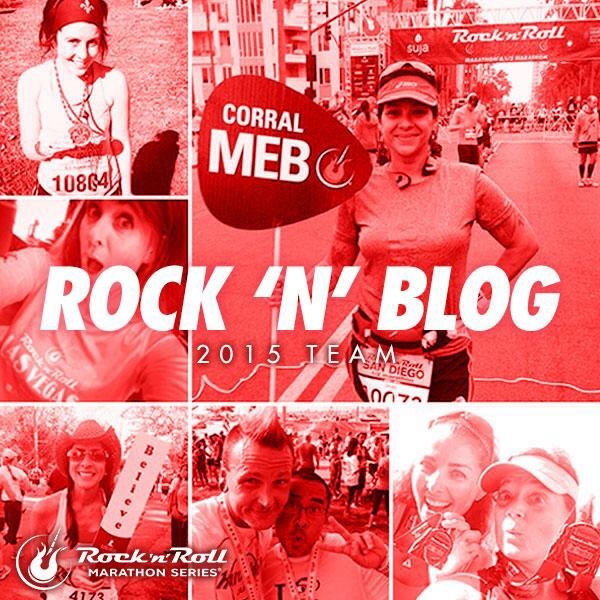 I’m excited to announce that I will be part of the Rock ‘n” Roll Marathon Series’ 2015 blogger team! I discovered RnR races back in 2010 and have run one each year since – New Orleans, St. Pete and Washington DC to name a few. I love the atmosphere of each race – and how each course is as unique as the cities they races are held in. I love to travel, to race in unfamiliar cities and to jam to live bands as I run along a course. And who can say no to a complimentary post-race beer? And this news comes with a perk for all of you! Soon I will have a discount code to share with you all on entries for the 2015 Rock ‘n’ Roll races. The series offers 5K races, 1/2 and full marathons and challenges that include a combination of several running events. As I look toward 2015 and my race schedule, I already planned to run the RnR race in Washington DC, again with my friend Traci. We’re both excited to return to DC for another fun event, But I’m not sure what other races to tackle – Chicago, Philly and San Diego are my front runners. But Vegas, Savannah and Portland are also woo-ing me. I’d love to hear which RnR races are your favorites and why! Which races shouldn’t I miss? Which RnR race is on your running bucket list?